Smart Removals provides professional removals and transportation for household, office goods and vehicles on a local, national and international level. 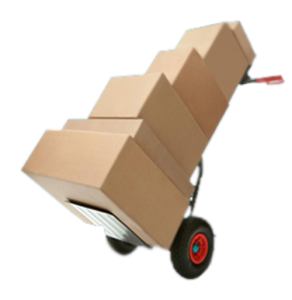 We have over 20 years experience in the removals service and have built up a good reputation with new and returning customers throughout the years. We have an experienced team of workers and management who provide a professional removal service to all clients on all major routes in South Africa. Smart Removals has an all-in-one removal solution where you can arrange for your household or office goods and even your vehicle to be carefully prepared for moving, packed, insured and/or stored. At Smart Removals, we believe removals are not only about moving household goods, but also it’s about moving and supporting people and families from one location to another and advising or assisting wherever possible and aiding to make the transition as easy as possible. Let us help you to make a smart and easy move today. Let Us Get You Moving...We Got This! Thank you so much for our move last week – the guys were fantastic. A huge Thank You for the excellent service I received from you from my first enquiry to delivering my furniture safely to me. Yours was the first reply, and happened to be the cheapest. I hereby highly recommend Smart Removals. Their service is top quality. They are efficient, quick and highly professional. Their removal staff are friendly, fast, honest and reliable. The removal fee was exceptionally well priced. Thanks for your excellent service with my move from Cape Town to Pretoria. Thank you very much for the service rendered. The team was great and the move to CPT was smooth and as per the times we agreed! You guys have been amazing, thank you so much for making our move easy. It has been a pleasure and I will recommend you all to anyone who asks. your service throughout as professional and very competitive and will thus not hesitate to recommend your service to others. Thank you for the delivery of all the furniture. We will definitely use you again! I thank you for the great service received thus far. I’m really happy that our paths crossed, and will definitely use your Removal Company in the future. Your professionalism exceeded my expectations, working in a Service Related industry as well. It was an absolute pleasure doing business with you. We’ll chat soon. Thank you.